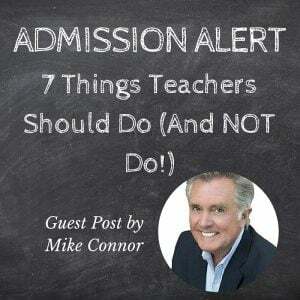 This post is republished with permission from Mike Connor of Connor Associates. As we prepare for opening day and orientation meetings this fall, here are a few concrete suggestions (some tongue in cheek) that you can share to remind teachers and coaches of the huge role they play as advocates for your school. In a parent’s mind, teachers hold the credibility cards. Discuss with your faculty how they can do their part to attract and retain the students and families they want to teach. 1. Bank up the positive news about the student. Get goodwill in the bank. Send random notes of gratitude to parents, early and often. For no reason at all. These random acts let parents know that you know their child and value and care about her as much as they do. You will surely have to draw on this goodwill account if the wheels fall off the bus in February. 3. When problems arise, as they certainly will, describe them as observable behaviors. 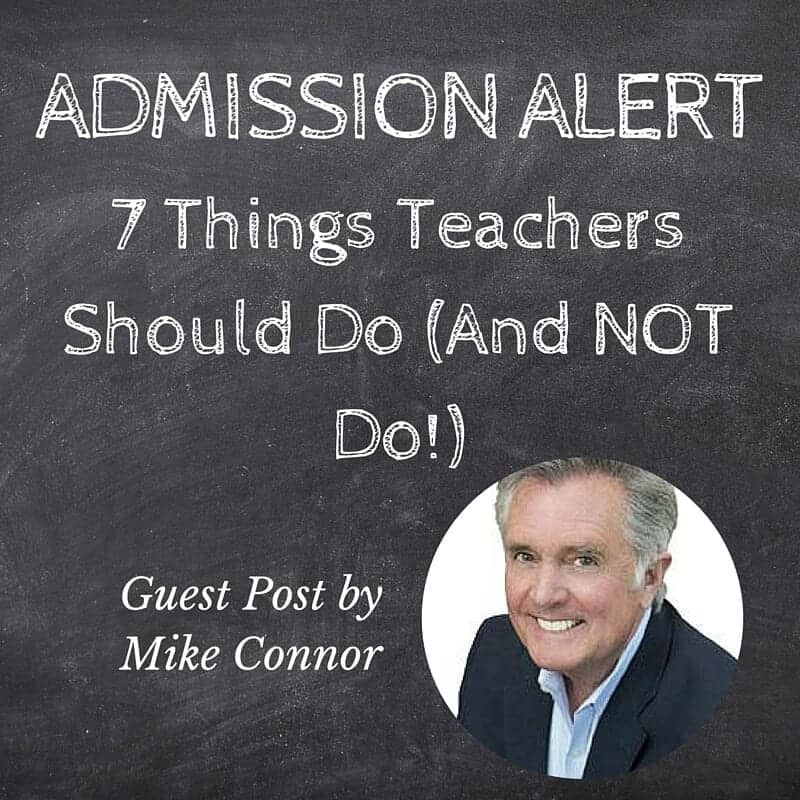 Do not frame them as “bad decisions” on the student’s part or choose other statements that parents will assuredly take as a severe and unfair judgment of their child or their parenting. Do not wait, hoping the behavior will change. No surprises to parents allowed! Not at these prices! Randy didn’t just drop the ball on this essay. He kicked it into the woods and left it there. 4. Don’t be their buddy. Taking parents into your confidence, while it may make you feel more connected to them, can actually put them in an awkward position, and can ultimately undermine their respect for you. They really don’t want to know about your personal preferences or politics, or what you really think of the Head of School. When teachers in one division speak highly of those in another division — when they “sell up,” and when the Upper Division teachers reach down and “scoop up” students – that tells parents and students they are wanted and everyone’s paying attention. Decisions to enroll and re-enroll are almost always emotional ones. 6. It’s not just what you say. Parents are experts at reading nonverbal behavior. 7. Parents choose schools based on evidence of great teachers and great teaching. Period. Full stop. At the prices independent schools have to charge, they expect transformational teaching and learning.